But would you want your grief to really end? At first glance, you might passionately reply, “Are you kidding? Of course I want my grief to end!” But perhaps what we are really saying is we want the hurting, the heartbreak, the sore yearning and sharp pangs of grief to be no more. Could this description better capture the gist of our desire for grief to end? Strangely enough, there may be aspects of grief that some of us may not want to end. For example, certain grievers I’ve met say the pain of grief facilitates a “closer feel” to the person who died. It’s as if were all grief pain to subside then our longing, or the missing, would be compromised or majorly lost along with the disappeared grief pangs. (At that point, we just might grieve how grief has seemingly ended...) Make no mistake, though: such grievers still clearly express that grief pain is unsettling and uncomfortable. In the same, however, that kind of hurt can paradoxically bring a tender nearness to the deceased person. Can you relate to such grievers? Yes, plenty of mourners may desperately opt for grief to end while others want to retain some of it longer; there is no definitive line to draw on this issue. To be sure, it may be common for us to desire for both the gradual waning of the heartache and the particular sense of union or bond that is sometimes facilitated by that very heartache. In a way, this both/and effect is displayed when grievers cry and laugh or smile simultaneously! It’s that fond memories prompt our affections (shown on our faces) which, at the same time, stir a degree of sorrow as we miss that person all over again. There’s no debating that the pain of grief is an unwelcomed thing. Yet the experience of pain in our grief signals something important. Similar to physical pain from an injury, the role of grief pain is to notify us to apply ongoing self-care, including intentionally tending to that heartache instead of ignoring it or hoping time by itself will be the remedy. As a major physical wound requires due attention, our grieving hearts are helped by dedicated nursing. 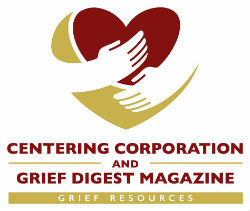 Now, nursing a grieving heart involves, among other things, “appreciating” the grief pain we feel inside: In other words, (1) admitting its realness, (2) patiently exploring the landscape of the loss to better understand its significance (this exploration can be done alone through reviewing memories, journaling, etc., or in conversations with other grievers, carers), (3) recognizing the sensibleness and worth of the cost of that valuable relationship, and (4) gleaning deeper self-awareness towards seeing the gift of certain human relationships, both in past and current. All difficult lessons to absorb, no doubt. But better knowing the nature and basis of our grief pain will help us to more meaningfully answer the question: Will this, my grief pain, ever end? Paul J. Moon, PhD, is Manager of Bereavement Services at Alacare Home Health & Hospice, Birmingham, Alabama. He authored a book called Grieve (2017).